Colorado is an epicenter for craft beer, with more than 200-plus breweries in the state and Boulder serving as the home for the Brewer's Association. Here's a round-up of the best brewery tours you can take in Colorado, ranging from Fat Tire in Fort Collins to MillerCoors in Denver. All tours are free, and many end with samples to visitors 21-and-up. Make sure to check with the brewery as times and prices are subject to change. More than 94,000 people tour the Anheuser-Busch brewery in Fort Collins each year, despite Colorado's origins as Coors country. The brewery offers free tours 10 a.m.-4 p.m. Thursday-Monday, and daily during June-September. Visitors age 21-and-up can partake of samples, and all visitors can visit the Clydesdale Hamlet onsite. Avery Brewing in Boulder offers free tours of its brewery at 4 p.m. on Monday-Friday ​and 2 p.m. on the weekends. No reservations are necessary for the tours, and the tap room also offers food and a dog-friendly patio. Established in 1993, Avery Brewing crafts Avery IPA and Ellie's Brown, as well as seasonal brews such as Chai High Brown Ale. Boulder Beer offers free 45-minute tours Monday-Friday at 2 p.m. Boulder Beer, which bills itself as Colorado's first microbrewery, produces Hazed & Infused as well as Singletrack. The tour includes a free sample tray for 21-and-up guests. Boulder Beer's onsite pub is also open 11 a.m.-9 p.m. Monday-Friday. 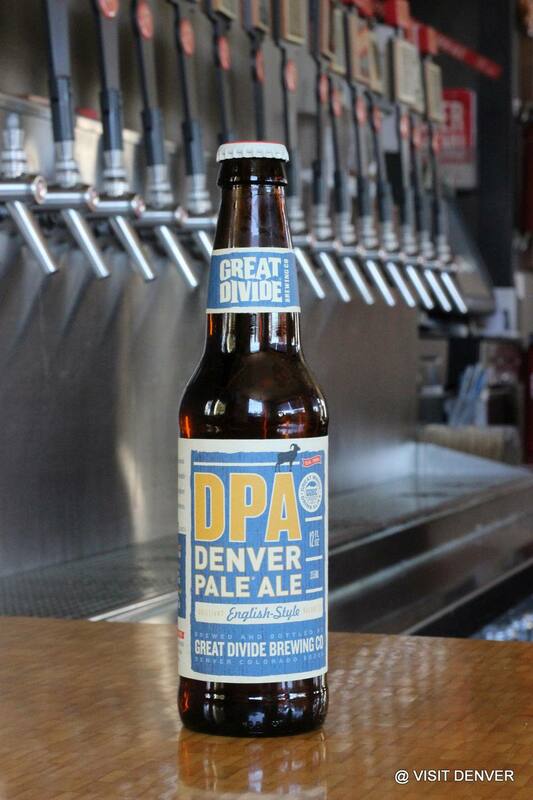 The Great Divide Brewing Co.
Left Hand Brewing Co. in Longmont offers free brewery tours every Saturday at 1 p.m. and 2 p.m. Established in 1993 as Indian Peaks, the company changed its name to Left Hand in honor of Chief Niwot, whose name translates to "left hand" in English. The company brews Sawtooth Ale and Black Jack Porter. Coors established its brewery in Golden in 1873, and the location boasts a claim to fame as the world’s largest single-site brewery. Free tours are offered 10 a.m.-4 p.m. on Thursday-Saturday and 12 noon-4 p.m. on Sunday. During the summer, tours are also offered Monday-Wednesday. New Belgium Brewing offers free 90-minute tours of its brewery in Fort Collins from 10 a.m.-6 p.m. on Tuesday-Saturday. Tour tickets can be reserved online, and advance reservations are recommended for the tours, especially on Saturday. Beer sampling occurs during the tour for maximum enjoyment of brews such as Fat Tire and Sunshine Wheat. Odell Brewing Co. offers free brewery tours at 1 p.m., 2 p.m. and 3 p.m. from Monday-Saturday. Established in 1989, Odell produces 90 Shilling and Easy Street Wheat at its brewery in Fort Collins. Reservations are not accepted for the tours, but Odell recommends visitors arrive 30 minutes before the scheduled start of the tours. Upslope Brewing Co., a newcomer to Colorado's brewery scene, offers free tours from 4-8 p.m. on Wednesday-Friday and 2-7 p.m. on Saturday. The Boulder brewery produces Pale Ale as well as India Pale Ale. The brewery also crafts single batch series such as Colorado Christmas Ale. The Wynkoop Brewing Co., co-founded in 1988 by Colo. Gov. John Hickenlooper before he entered politics, features free brewery tours at 3 p.m. and 4 p.m. on Tuesdays through Saturdays. All beer is brewed onsite, and the Wynkoop also includes a bar and restaurant, as well as billiards. Private tours are also available.